Nala is now one of the lucky ones – but she didn’t start out that way. When Nala was born, she was so severely infested with worms and emaciated that she almost died. Her family realised something was wrong soon after they purchased her, and sought urgent care. The treating vet reported that Nala's worm infestation would have been passed onto her from her fur Mum in utero. Somewhere, Nala's fur Mum continues to suffer – if she is still alive. In July 2018, volunteer lawyers from the Animal Law Institute (ALI) launched legal action against Nala’s breeders to hold them accountable for the cruel consequences of their negligent breeding. Three months later, the Victorian Civil and Administrative Tribunal (VCAT) handed down its judgment – in Nala’s favour! Our lawyers were successful in creating a legal precedent to discourage negligent breeding and puppy farming in the future. Nala’s breeders were ordered to pay over $15,000 for past and future medical expenses. ALI’s case relied on the Australian Consumer Law to argue that breeders who fail to take proper care when breeding animals should be liable for the vet fees that are later incurred by owners to treat their sick pets. The case focused on consumer guarantees and misleading and deceptive conduct. 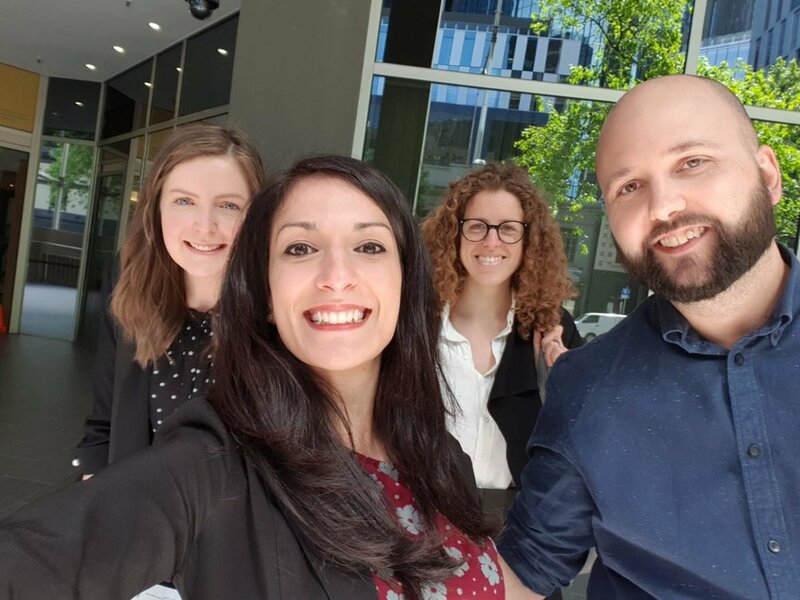 ALI thanks its volunteer legal team – Malcolm, Anastasia, Amanda, Greta and Tess – for their tireless work over more than 12 months on this case. Beams was diagnosed with severe and debilitating hip dysplasia as a puppy. Thanks to volunteer lawyers at the Animal Law Institute (ALI), Beams had his day in court. In November 2016, ALI launched a suit against the pet shop that sold Beams (Mad About Pets Pty Ltd) and Beams’ breeder (Murray River Puppies Pty Ltd) arguing that they should reimburse Beams’ owner for the vet bills that his owner had to pay to treat his medical condition. Jodie Knox, a former president of the Australian Association of Pet Dog Breeders, was the sole director of the breeder. The lawsuit was heard by the Victorian Civil and Administrative Tribunal (VCAT). Both the pet shop and the breeder made applications for the tribunal to dismiss Beams’ owner’s lawsuit without the matter proceeding to a full hearing. The breeder argued that Beams’ owner was only entitled to a refund for Beams. ‘A dog or a cat is different to other consumer goods. It isn’t fair to say that the owner should accept a refund or a trade-in. You can’t replace a loved pet. We say that the Australian Consumer Law allows owners to claim vet fees from breeders and pet suppliers, in some circumstances.’ - Amanda Richman, ALI Senior Lawyer. On 12 April 2017, VCAT rejected the applications to dismiss Beams’ case. It was held that the case, and the question of whether Beams’ owner should be compensated for veterinary expenses, were of ‘sufficient importance’ and the case should be heard by a senior VCAT member at a full hearing. The allegations made by Beams’ owner included that both the pet shop and the breeder failed to comply with the consumer guarantees, including the guarantee that goods be of acceptable quality. Beams’ owner also made allegations against the pet shop for misleading and deceptive conduct and breach of contract. The case ultimately settled privately and confidentially. Since the news spread about Nala’s case, ALI has been contacted by countless other individuals who have had similar experiences to Nala’s family. Our team have put together a Victorian-specific fact sheet about how you may be able to use the Australian Consumer Law to hold negligent breeders to account. The information contained in this factsheet cannot be considered as legal advice as it is intended to provide general information only. It does not take into account your personal circumstances or individual needs. You should seek legal advice from a registered legal practitioner in relation to any legal matters. Greta is one of our volunteers and a member of Nala's legal team. She explains what is involved in preparing a case for hearing.